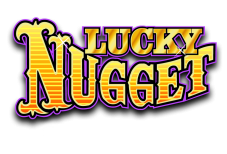 The central promotion offered by Lucky Nugget is for newcomers, but they also have a loyalty program for their ongoing members. The welcome bonus offers a 150% match, up to $200 on the first deposit. This match provides some free bonus money for players to use to increase their casino bankroll. There is undoubtedly plenty of selection when it comes to which casino games to play. There are different types of slots that come with all kinds of themes and payouts, as well as some great jackpot slots. Then, for those who want to enjoy some table games, there is blackjack, roulette and video poker to choose from. No matter whether a player is utilzing the mobile version or instant play version of Lucky Nugget Casino, they will be enjoying games provided by the Microgaming software provider. Microgaming is well recognized in the online casino industry, for bringing exciting and high paying casino games to those who want the best online casino experience. Most individuals who want to play at an online casino, want to have a variety of options for depositing. Lucky Nugget Casino has met this need. They offer deposit options for Visa, Mastercard, Maestro, Neteller, Paysafe Card, Moneybookers, Eco Card, Instadebit, Echeck, and also the opportunity to do a direct bank transfer. Being able to withdraw winnings is something else that Lucky Nugget Casino has made to be quick and easy. Methods available for this are direct bank transfer, Echeck, Instadebit, Eco Card, Moneybookers, Neteller, Maestro, and Visa, with some countries being restricted. The time it will take to receive the withdrawal will depend on the method used. Lucky Nugget Casino wanted to be sure that they could make using their services a great user experience. To help accommodate this, they offer their casino platform in a variety of languages which includes English, Dutch, French, Swedish, Japanese, Malay, Finnish, Italian, Russian, Argentinian, Spanish, Norwegian, Greek, Brasil and Hrvatska. Many different types of currencies are accepted at Lucky Nugget Casino, which includes Canadian dollars, US dollars, Mexican and Argentine pesos, Brazilian reals, Swiss francs, euros, Australian dollars, Norwegian kroner, New Zealand dollars, Russian rubles, Polish zlotys, Indian rupees, British pounds sterling, euros and the Japanese yen. Players choose the currency they wish to use. There are some great opportunities to enjoy what Lucky Nugget Casino has to offer in a variety of ways. There is the option to enjoy the instant play by accessing the site through a browser. The casino also has an exciting mobile version. Plus there is a live casino for those who enjoy this type of action. To offer the best in customer service, Lucky Nugget Casino has a knowledgeable team of representatives in place. Players can get in touch with these reps 24/7. There is an email process which can be used. An alternative is to contact the casino through the various telephone numbers they provide, or their FAQ section is available.